Berner is your local Kalamunda Building Inspector. 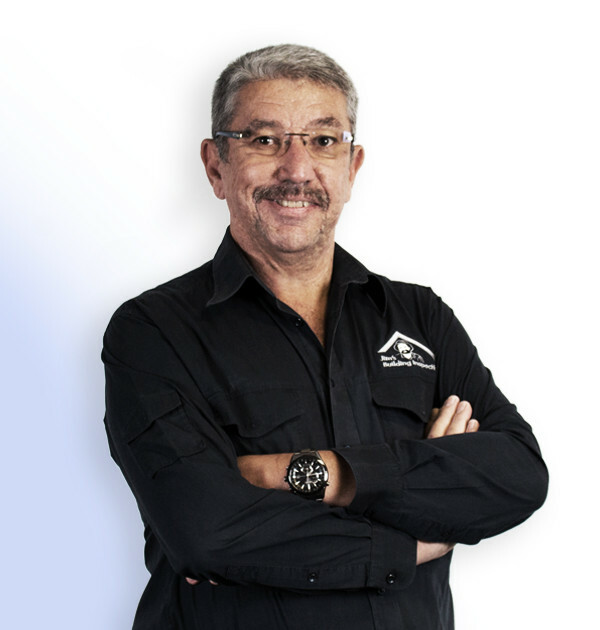 Berner is one of our Kalamunda Building Inspector and operates between the Kwinana Highway and York in the east. Berner has more than 20 years extensive experience across a broad spectrum of business functions including large corporate, medium sized and smaller entities in different business sectors, from both a management and consulting perspective. This includes construction, building and pest control. Berner holds a master’s degree in law M Comm LL. He enjoys a challenge and can handle several and diverse projects simultaneously and he has demonstrated this by finishing at the top of his class when he did his Jim’s Complete Residential building inspection course. Berner is also qualified to perform asbestos inspections and sampling. Amongst other certifications he is a Certified Lead auditor in Quality Management systems and is currently in the process of completing his Cert IV Diploma in Building and Construction..
As a lateral thinker, effective strategist and skillful negotiator he is confident that he will make a difference in his community. Over the years he has been successful in identifying, implementing and developing business and market opportunities, generating profitability and enhancing return on investment. Berner is excited to be a business owner and part of the successful and innovative Jim’s Group whose motto is dedicated customer service and professional service delivery. Berner values quality family life. He enjoys potting around the garden with his lovely wife who believes that you can never have enough flowering plants and water features in your garden to attract the vast number of wild birds! With his supportive wife they work as a team and strive to make a difference in their community through believing in and living with integrity and honesty.